Wait a minute. I’m having a serious case of déjà vu right now. Ah, that’s right. I’ve been here before...all the way back in February of 2017. Block-Change You Can Believe In! 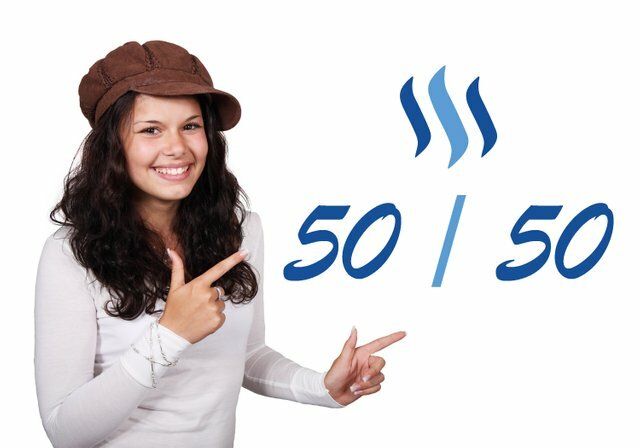 The purpose of Steem/Steemit was to provide a means for bootstrapping and onboarding users of a cryptocurrency by creating a popular and scalable format for doing so: a social media website. Steemit is not the end game. It is merely the first building block. This seems to be a forgotten truth about what exactly our blockchain interfaces are, which basically serve as onboarding mechanisms to the Steem blockchain. The end game is not an interface itself. The end game is to attract people to and retain them on the Steem blockchain and to use the blockchain as a currency transfer system. The entire purpose of creating the Steem blockchain was to provide a means to quickly and freely transfer money in a peer-to-peer network. It’s the reason we have three-second block times and no transfer fees...and a somewhat “stable coin” (Steem Dollars, or SBDs). These characteristics aren’t needed for a social media platform. The social media interfaces for Steem are just one building block of many that are needed to create and sustain a viable ecosystem for the Steem currencies. So what does this have to do with curation rewards and why we should have them and actually increase them? In order to help bootstrap the Steem blockchain/currency, new users are given a small amount of the currency to be used for their activities on the platform. They can build on this initial amount by interacting through content creation, commenting, and voting on other posts. There is also an option to increase their stake by purchasing more STEEM and using the added influence to potentially increase their rewards accumulation over time. Curation rewards are earned based on the stake of Steem users. But let’s make a slight digression here. Steem is a delegated proof-of-stake (DPoS) blockchain. This means that certain benefits are extended to users that have stake in the system – more skin in the game. Staking carries additional risk due to the nature of it, which includes locking up STEEM in the network for a set period of time. 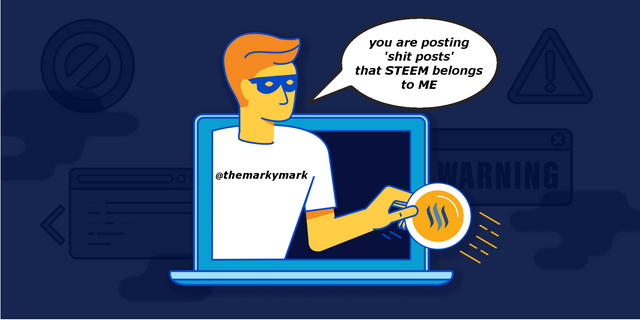 Many of those invested or “staked” in the Steem blockchain have assumed a double risk – first, by purchasing STEEM, and then by locking it up in the form of STEEM Power in order to receive the extra staking benefits (including witness voting and allocating content rewards). Any risk-reward assessment must be carefully measured, especially in a space like cryptocurrencies, where rampant speculation on tokens is the norm and price action can rapidly change from hour-to-hour or even minute-to-minute. Those who have weighed the risks and have decided to both invest in STEEM and lock away their investment in the form of STEEM Power – despite many shortcomings within this space and several within this particular platform – shouldn’t be ignored or condemned due to the fear or misunderstandings of the non-buyers, the non-invested, or the just plain ignorant. Why should those who are assuming the most risk continue to be marginalized by the blockchain protocols and the community? I’m talking about every single user who has purchased STEEM and powered up their STEEM or that has simply accumulated STEEM and remained powered up. Every stakeholder in this network will benefit from better incentives to hold STEEM Power and to use it for curation purposes. It doesn’t matter if you have 100 STEEM Power or one million – if you actively use that influence to curate content, then you will benefit. If you can earn 1.000 SP by voting on a post under the current 75/25 protocols, then – all other variables remaining the same – you can potentially earn 2.000 SP by voting in the same manner in a system with 50/50 protocols. But let’s be completely honest: All variables will not remain the same. Behavior will change, as it always does when incentives are changed. What we need to consider here is how we can reasonably expect behavior to change. It’s not easy to predict, but based on observed human behavior and based on previous changes made to the protocols for this very blockchain, we can get a better sense of what will likely happen. In the past, when curation rewards decreased (either from declining STEEM prices, protocol changes, or increased/unexpected dilution via delegating), curation quality changed. More users moved to automation and away from manual individual/group curating. We have both factual/statistical and anecdotal evidence of this occurring. Why does this happen? Because the risks outweigh the rewards. If we increase the rewards for staking and for curating with that stake, can we reasonably expect that many users may see that these rewards can/will possibly outweigh the risks again? And if so, could we see additional staking and additional purchasing of STEEM that would reflect this? Would this be beneficial to anyone other than those who are purchasing STEEM and increasing their stake? A 100% increase in curation rewards will certainly make curating more lucrative. And based on the public sentiment and explicit statements of many larger investors, increasing curation rewards to 50/50 could entice them to purchase more STEEM, power it up, and move back to manual curation – and even entice them to create a variety of new curation projects. In other words, they’d be much more willing to assume the risks of purchasing and staking in order to try to grab a piece of the increased curation reward pie. This is precisely how incentives work and why we need them. Increased investment and better curation practices from larger investors (and all investors, really) will certainly improve reward allocation for content creators. An increase in STEEM prices is beneficial for content creators due to the fact that more SBDs are printed when prices are higher versus when they are lower. This gives creators more liquid tokens to cash out if they are only here to be compensated for their work. If these creators are also here to become larger stakeholders themselves, then they can power up that stake (or leave the non-liquid portion powered up) and join or continue their curation efforts. So increasing curation rewards not only incentivizes purchasing and staking, but the consequences of that increased purchasing and staking could result in higher creator payouts and actually directing rewards to better creators due to better curation practices. These results would clearly benefit everyone...except those who are not the best at creating and marketing their content. Why should content creators get less rewards? I see this question asked a lot, but it’s largely based on some faulty assumptions. Let’s be completely clear again: A move from 75/25 to 50/50 represents a 33% reduction in post author rewards. This is true – if all other variables remain the same. But as stated above, the variables will not remain constant. And as stated above, there is a reasonable expectation that improved incentives for stakeholding will attract more buyers and holders of STEEM. Of course, this does not mean that STEEM prices will increase, as prices have much more to do with general crypto trends and random price pumps than any blockchain “fundamentals.” Nevertheless, better incentives should certainly put more upward pressure on STEEM prices. Over time, the increased investment should be able to offset the near-term declines in payouts. Larger SBD payouts and good old-fashioned capital appreciation could eventually boost post rewards and the net values of user accounts exponentially higher. Assuming that “creators will get less” completely ignores some rather fundamental economics. It is my contention that the platform functions better if both creators and curators can be rewarded for their work. It also appeals to a much wider market, since regular/routine or professional bloggers are a relatively small one. The purpose of Steem/Steemit is to onboard as many people as possible into the cryptocurrency space and to create a sustainable marketplace for them. Excluding content consumers from being rewarded for work done is simply not an option. If we want more and better curation, we need to incentivize it. If we want more investment, we need to incentivize it. And if we truly understand that social media is not comprised of 100% bloggers and commenters – that the simple act of voting on content is actually the largest chunk of interaction – then we need to make it more lucrative for content consumers to easily invest and earn for the quality work that they contribute. It isn’t just “whales” that makes Steem work. Content consumers can come in all wallet sizes. Every new purchase of STEEM is positive for the ecosystem. If we want “mass adoption” – which is mostly what anyone talks about when speaking of Steem’s future – then we’re going to need to attract content consumers from all walks of life. Imagine for a moment that the aggressive marketing team for the Steem blockchain was able to draw in 100,000 new, real and active users by the end of the year. Imagine if just 25% of those new users made a 100-STEEM investment. That would be 2.5 million STEEM purchased from exchanges, which would account for nearly 75% of the current, total daily volume on all exchanges. That’s not an insignificant number. Now imagine sustained growth over a period of many months or a few years. I’m not saying that curation rewards alone can have that effect, but they do target the right demographic to make it possible. Onboarding and retaining users in those numbers would be an extraordinary accomplishment and have an equally extraordinary effect on STEEM prices and Steem blockchain adoption or “network effect.” And, after all, that’s the goal. Remember? In an ecosystem with sustainable user growth, higher token prices, and much larger network effect, is there any doubt that quality creators will be rather large beneficiaries? It won’t happen overnight, but adjusting the economics on this platform ought to be an attempt at improving them for the long game, not for those hoping to continue drawing value out of the system for quick profits. That isn’t a knock on the profit motive or on personal gain, but it is instead an adjustment to the horizon for long-term, sustained profits/benefits. This relationship is symbiotic. A well-curated content platform requires the work of both quality creators and quality curators. And in many cases, Steem users are both. When people throw around accusations about personal motives for proposals, they ought to keep in mind that most of the people currently here have been, are, and will continue to be both content creators and curators. They should also keep in mind that nearly all of us are invested, either through direct purchasing or through our contributions to the platform. There have been “bad actors” that seemingly want to “poop” on their investments, but the vast majority of users would likely want to see their investments grow. The knee-jerk reactions to discussions about protocol changes, where users are threatening to sell all of their tokens and questioning the sincerity of the proposals is fun to watch, but it’s really quite absurd. I’m not saying that signaling to the drafters of these proposals that you’d be less likely to invest or remain invested is necessarily bad, but the level of hyperbole and absolutely ignorant assumptions and conclusions that are spammed around these comment threads is stunning. Definitely entertaining, but sad at the same time. It’s true that content consumers would have nothing to read and curate if content creators were not creating content. But it’s also true that these content creators wouldn’t be making any money if there were no incentives to purchase STEEM, power it up, and curate their content. Changing the post and curation rewards to 50/50 should be a fairly easy protocol implementation. It’s something that can be done rather quickly and by itself so that we can observe behavioral changes. I see no reason why we can’t ask for this change to happen sooner rather than later and start evaluating the results. If it does in fact prove to be a mistake, then it’s something that can also be changed back to the current 75/25 split pretty easily. As a Steem witness in a DPoS system, my vote is for improving incentives for stakeholders. This is probably the best explained reasoning for 50/50 I've come across, so thanks for that. Unfortunately, nothing will prevent people from gaming the system if they are able to, but as you say, it's worth trialling and can be wound back if it makes things worse. The consumer base in the world is unarguably larger than the producer base. However, the largest majority is poor and unable to invest upfront. What are your thoughts on that? Do you think that this could still address that? I agree with most of what you said, and something needs to be done now later. But my fear with 50/50 is the Jerry, Haejin, and Kingscrowns will start having $1,000 posts because people will follow the money regardless of the quality of content. Check out SteemAuto and look at how many votes for Jerry Banfield on autopilot. Many of them are just following for "curation rewards" even though large users like that are the worst curation rewards on the platform. Users (especially whales) will follow the money. They will get in early and big for the ones they know will take off. Very few will give a damn about content quality. I agree to change it is easy, Vice Industry Token (Vit) changed curation rewards to 40% in just a few lines of code. It is actually much harder to get all the Dapps and scripts to adjust to the new change than the actual blockchain (outside of the fact it would be a hardfork). I would also prepare an implementation of separate reward pool for flags. I wouldn’t implement it at the same time - learning from past mistakes where many changes were implemented at the same time and it was hard to asses which change was the cause for certain actions. The sad truth that the well-known images will always receive a lot of rewards is here to stay. First of all I don’t think that increasing the curation rewards would drastically incentivize even more people to start voting for those well-known figures. In fact it’s more profitable to find newer faces that tend to receive some rewards at the end of the day (successfully tested) and increasing the curation reward would greatly incentivize the behaviour of finding new people. The matter of "familiar faces" is a different problem and should be targeted by the reward pool for flagging. I say “should” because I don’t see any other option for now and I’m fond of the incentivized flag option…maybe I’m wrong here. I’m also happy that you mentioned the VIT. Unfortunately they have basically started with the 40/60 curation/author split, therefor we can’t use the platform to predict what changes it will cause. From a very casual look the distribution of rewards there seem quite even and the users are definitely receiving significant curation rewards. I can honestly say that I’m very incentivized to power up even more VIT. The problem is that the its impossible at the moment but that is different story:D.
There is a ton of talk about separate pool for flagging. It just hasn’t been decided how big it should be. 10% of upvotes? 20? 50? 100? Are the common answers. If you exhaust this, you can then draw from your upvote pool for flags. The problem is the cost isn’t the only issue, most users are afraid of retaliation and even with free flags that won’t change. Spammers and bad actors have nothing to lose and will flag without mercy. This poses a unique problem for spam fighters and anyone who wants to use a dedicated flag pool. I think the majority of people using this pool will end up being bad actors. As it is, many of us spam fighters get little to no support and no one will counter those flags. Flagging is a lost cause. It's only a matter of time until apps start posting encrypted text in order to implement some sort of privacy scheme within their community. How do spam-fighters decide what to flag then? The developers need to look into auction theory and use something like a second price auction to protect against abuse with upvotes only. If you model voting after the 2nd price auction, you'd throw out the highest vote when calculating rewards. That would force a bad actor to split their stake in half, which would limit the harm that can be done. The theoretical nicety of second price auctions, first pointed out by William Vickrey, is that bidding one's true value is a dominant strategy. Hopefully, a similar mechanism could be found where voting one's true value would also be a dominant strategy. what happens to steem when you downvote my amazing posts , and where that steem ends up ? Someone with enough SP can easily manipulate the system and that is exactly what you are doing . GREED ! Any solid argument against my claim ? But my fear with 50/50 is the Jerry, Haejin, and Kingscrowns will start having $1,000 posts because people will follow the money regardless of the quality of content. There will always be some users who operate this way, but I don’t think it’s significant enough to influence protocol changes. Check out SteemAuto and look at how many votes for Jerry Banfield on autopilot. Yeah, he has about 500 followers on SteemAuto, but 500 isn’t a lot, considering how many users have been active on the platform since that trail started. And I’m sure most of those trail votes are minnow/dust votes, so the impact on reward allocation will be fairly low. As you mentioned, the returns aren’t even good for most of those voters, so don’t dismiss that these low returns won’t influence the decisions of curators looking for better curation rewards. I’ve had a relatively large and influential trail before. I can tell you that the auto curators will evaluate returns and make adjustments. There is a good argument for this, as it has happened in the past. But a lot has changed since the first year and many of those large voting whales are not as influential as they used to be, mainly due to powering down, delegating stake to other individuals and projects, and dilution. I think the biggest concern would be the influence of bid bots, but I would imagine that better curation incentives would make a dent in their received delegations. Speaking for myself, I would withdraw my delegations if 50/50 was approved. And there are others who have told me that they would do the same. Whether that would actually happen is another story. I am definitely on board with this. As I've noted in the past, I'd really like authors to be able to set the curation rewards on a per-post basis, but that's probably not realistic any time soon, so I see 50/50 as a feasible alternative. Especially factoring in your closing point about ease of implementation and fall-back. IMO, the bottom line is that the blockchain is incentivizing too much low quality content production and not enough content discovery. And beyond the quality of content that is being produced, authors also have no incentive to HODL. The author's incentive is to harvest and dump. Voters are the ones with the long term incentive. And just as a matter of human attention, if you have quality content, you'd probably expect to see most blockchain consumers spending more of their time reading (and voting) than writing. Having a reward ratio that skews in favor of authors just seems sub-optimal in a variety of ways. If, as I suspect, we need a higher ratio of voters/authors, we almost certainly need to move the curation rewards in a direction that will attract voters and encourage authors to do more voting and holding. I'm amazed at how frequently I look at the wallets of successful authors who have been here for years and see relatively small amounts sitting there. Your point about people changing their behavior is valid, and with steem power delegation, the response of bidbots is an especially big unknown, but speaking for myself - at least initially - higher curation rewards would encourage me to shift more of my steem power to manual voting and less to my bots. As I've noted in the past, I'd really like authors to be able to set the curation rewards on a per-post basis, but that's probably not realistic any time soon, so I see 50/50 as a feasible alternative. I’m in favor of a sliding scale, but as I’m sure I’ve said to you in the past, I think we need a baseline that’s much higher than we currently have. It’s also much easier to change a couple of lines of code to implement the 50/50 protocol. And beyond the quality of content that is being produced, authors also have no incentive to HODL. The author's incentive is to harvest and dump. Voters are the ones with the long term incentive. Yep. Favoring, by protocol, those with no desire or little incentive to invest in the system does more damage to long-term sustainability than I think most people realize. A consistent flow of value out of the system can’t possibly help grow the system. I get that bloggers want to be paid for their efforts, but I also understand that how this money is acquired and dumped - and the amounts that are acquired and dumped - is hard to overcome without constant new investment. If we can adjust both the incentive to power up and reduce the percentage of rewards that are paid in liquid tokens to users who have no desire or need to invest, then the overall “fiscal health” of the blockchain should improve. ...higher curation rewards would encourage me to shift more of my steem power to manual voting and less to my bots. Same here. And I would be much happier with that arrangement. I don’t want to delegate my SP, but the lack of incentives have driven me to do it. I held out as long as I could. You are very handsome, I think the hat only accentuates your long curls. Thank you! Can you believe I found that hat at a thrift store for $1.50? Sometimes I can hardly believe the things I am believing! Heh. I've been reading through this, considering and trying to gain a bit of knowledge on the varying perspectives on the issue (I don't know enough about how it works to have a valid/intelligent/informed opinion) and ran into this. Brilliant. Lmao! I had to go back and look at the photo to see what you were talking about! Your clear arguments here have taken me from 50/50 on 50/50 to 100% on 50/50. There is no system that can't be gamed, but I agree that a 50/50 reward split will better incentivize the activity and greater masses of people. I say we go with a model where it is a complete free for all. a poster makes a post then every single person that upvotes it gets an equal say in how it gets distributed using a vote slider. You can pick a 100% author or 100% curator. or 50/50 . Any number. At the end of the 7 day period all the votes are averaged togeather to get teh final payout. I'm here to watch this post die a death. True that, Platform should be more about the users, they are surely more in number and contribute more to the platform. Steemit and Steem need to be considered separate projects within one ecosystem otherwise you risk killing it. Not sure what noobies will think about sharing a 0.02 post. You got my vote, thank you for expressing my sentiment on this issue (much better than I could do it). Pretty clear voice in a jungle of complainers. Thanks for sharing your toughts. So actually, right now, we are inside an online, hot wallet&miner for steem, and this wallet have a feature, a social media, content-sharing platform, where the stake-ers can influencing the distribution of daily reward pool, based on the amount of the stake, and same time, increase their amount of stake, based on their own social, community activity. If we watch it from here, the 50-50 is definitely a wrong choice. Btw the problem of "dead", but working curation trails, and the autovotes, so this problem have a really easy solution. Just need to change the api, and this kind of transaction, the voting, need a confirmation time to time, for example 30 days. So if you dont re-confirm your autovote in 30 days, this will be end, and no more "free" curation reward. This is pretty understandable, i think. If a node, on any blockchain, doesnt work anymore, i mean, doesnt react to the happenings, doesnt update itself, this is just a dead node, and dont need anymore for the chain. On steem, the witnesses are the miners, and we are the nodes. I know, its not exactly the truth, but good metafora. I think a slider for a value between 15% and 100% curation would be a game changer. To impose an exact number is harsh and will drive smaller content creators away as they will be scared about losing 33%. Adding a slider and a curation value to a post would change the game. On the long run the free market will show which % is the right one. For now, 75/25 might be a little better. But I'm still working to establish a firm opinion on this topic. The discussion is valuable but I would caution to wait until we have had some time to evaluate what the introduction of SMT does for the platform. Probably the best explained post on curation reward and Steem blockchain. Thanks for sharing. "If they are non-invested, choose to remain that way, and cash out all of their tokens, then we ought to consider whether continually directing rewards to them so that they can be immediately sold on exchanges is a sustainable practice for this ecosystem"
I've seen so many of that kind of users who still get rewarded consistently. Curation trails are still following them, their comment section is empty, but they still receive more than 20$ every day. People with reputation above 71 with less than 2k Steem, I'm puzzled how is that still a thing on this blockchain. I still remember all those youtubers who came here to "explore" the blockchain. You don't see them anymore, also you can visit their wallets and see nothing inside. So much money went into wrong people's pockets, non investors non contributors, scammers and shitposters. 50:50 curation reward will be great for investors, but not every investor is a good curator, the money will flow again in the hands of few familiar faces, again it will be hard to find quality post buried beneath tons and tons of shitposts. "This is a great post and I agree with many things you said. However, there is one fundamental thing you need to understand. Our brains as humans is too small to understand how economies work. We cannot compute all the cause effect relationships that will come from higher curation rewards. I am sure that this will be an improvement, but in reality we have to try out to know for sure. What Ned has been proposing (and what you don't seem to get) is the following: Let us stop wasting time on tweeking the game theory of steem. It will never be perfect. There will always be problems. You will never choose the right rules for the system, no matter how much you think. This is the key idea: The optimal coins from a game theory perspective are the ones that will survive. If a coin has bad rules, like steem right now, then people will stop using it and move to another SMT, maybe created by yourself, which has better rules. If something better comes up later, then with enough time it will overtake your coin. This will go on forever, with improvements always made, and users always slowly navigating towards the best SMT."